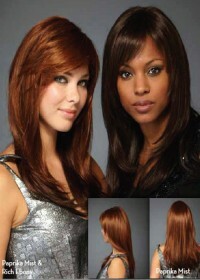 During the summer of 2012 Natural Image Wigs released their Inspired Collection of Wigs. Fortunately ladies, this collection of luxury womens wigs are certainly not another one hit wonder in the world of wigs and are destined for worldwide success. The Inspired collection of women’s wigs showcase a mesmerizing range of shades and styles guaranteed to make heads turn and get tongues wagging. 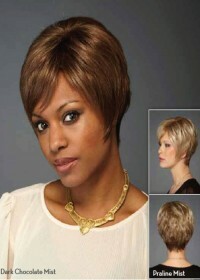 Furthermore, Inspired wigs uphold some of the finest ladies wig craftsmanship in the industry today and break down some of the key barriers causing women in the past not to pursue the wear of a wig. A never before seen deluxe monofilament top collection as well as 100% hand tied wigs are present in the Inspired outfit, creating captivating and unparalleled natural looks and styles which will blow you away. 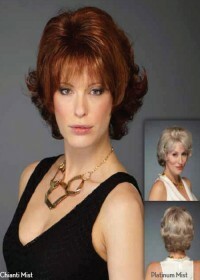 To add extra luxury to their clients wig experience, Inspired have incorporated the use of lace front wig technology and cap constructions to make the choice of buying and wearing a wig forever justified. The Inspired wig brand is now exclusively available at Premium Wigs UK in conjunction with world renowned brand Natural Image Wigs, boasting over thirty years experience in the wig industry. With the help of Premium Wigs UK, Britain’s recommended retailer you too can look forward to the arrival of your voluptuous, seductive and sensuous Inspired wig courtesy of the experts.